From the small and discreet, to the biggest smartphones on the market, the Car Universal Mount will fit your phone perfectly. 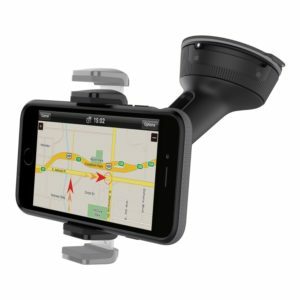 Extendable arms firmly cradle your phone, while the mount adheres securely to your windshield or dashboard. Plus, with the ability to tilt and rotate the cradle, it’s easy to find the perfect viewing angle for navigation. Amazon is selling Belkin F8M978BT Universal Car Mount for 6-inch Devices (Black) at Rs 999. How to buy Belkin F8M978BT Universal Car Mount for 6-inch Devices (Black) at Rs 999?